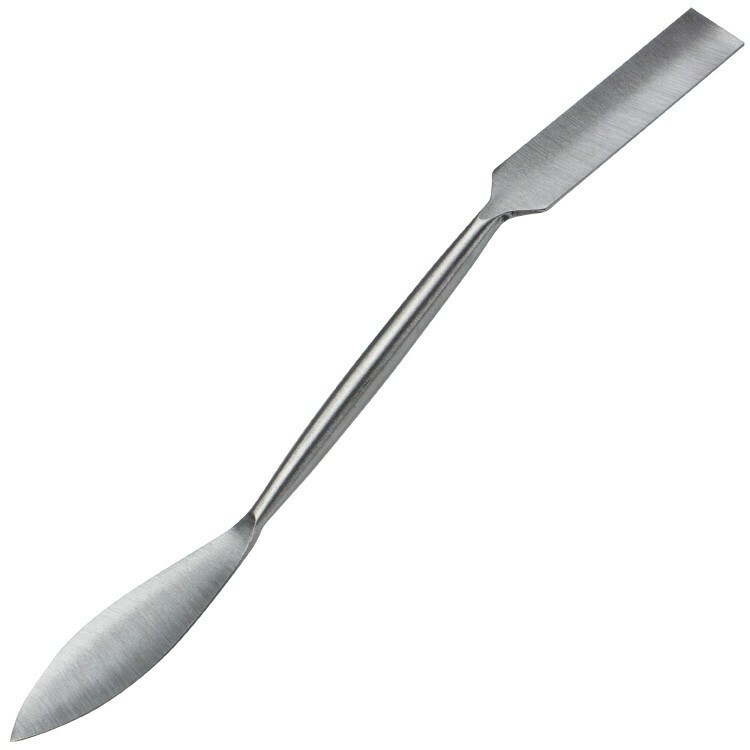 The tool is forged and tempered steel for a long life of many uses. One end of the tool has a 1/2" leaf and the other side features a square. The size of the tool and head are great for delicate details in small areas. The tool's shape provides knuckle clearance as you work. Overall length is 8 1/2"